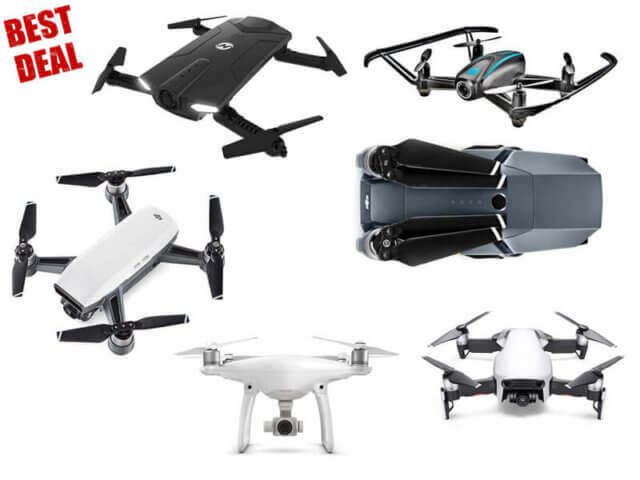 In 2018 there are so many drone models, that finding the right one for you became almost impossible. The popularity of drones is growing every year and the number of models is also increasing. To help you out, here is a Top drone deals of February 2018. In this list, you’ll find all types of quadcopters and the prices are from €80 to €1500. 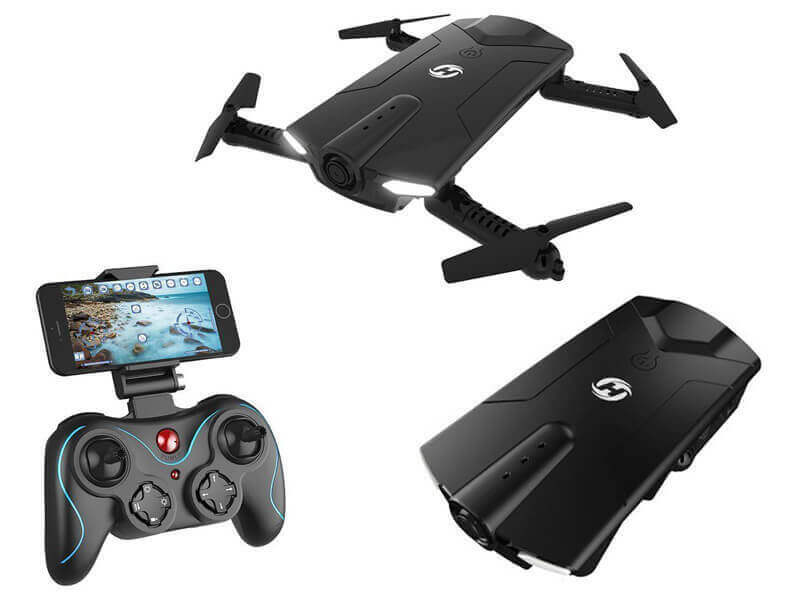 If you are looking for a small drone that can fit in your pocket, Holy Stone HS 160 Shadow can do that. While folded, this quadcopter looks like a smartphone. The dimensions are: unfolded 180x180x30 and folded is 140x67x30. It has a good 1080p HD camera and a flight time of 8 minutes. 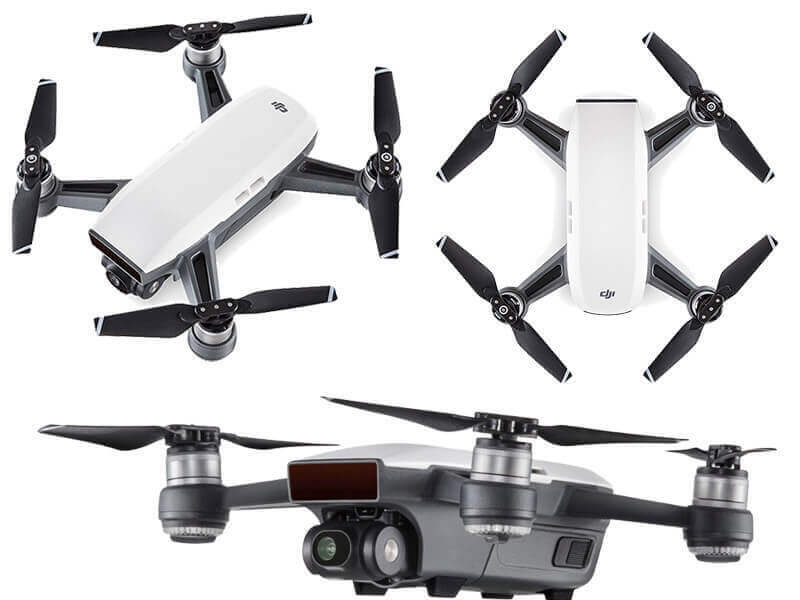 When it comes to portability, compactness and cheapness, Holy Stone HS 160 Shadow is the best quad around, being the cheapest drone in the Top drone deals of February 2018. 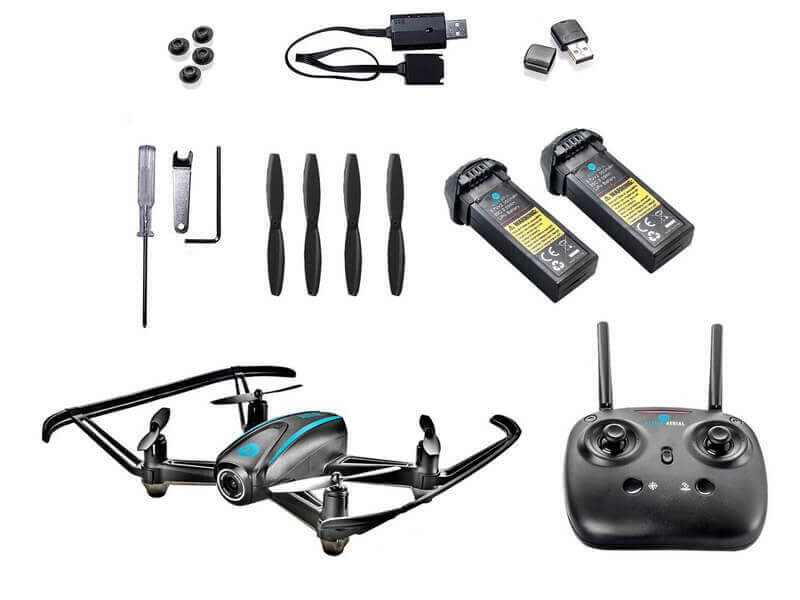 While being a cheap quad from the Top drone deals of February 2018, Altair AA108 is a great drone for beginners that don’t want to spend hundreds of euros. The controls are easy to use and has some safety features, like the alarm that goes off if the drone flies out of range, which is 100 meters. Keep in mind that you are not allowed to fly this drone in bad weather condition, even a light rain can damage the circuits. Maybe the cheapest drone from DJI, the Spark can be the best choice for those who are looking for a small drone (143x143x55mm). The incredible small size comes with a price, the flying time is only 15 minutes and does not support 4k video capture. On the other hand, DJI Spark has a maximum speed of 50 km/h (with controller) and has Obstacle avoidance. DJI Spark earned its place in Top drone deals of February 2018 by its small dimensions, lightweight, low price and agility. 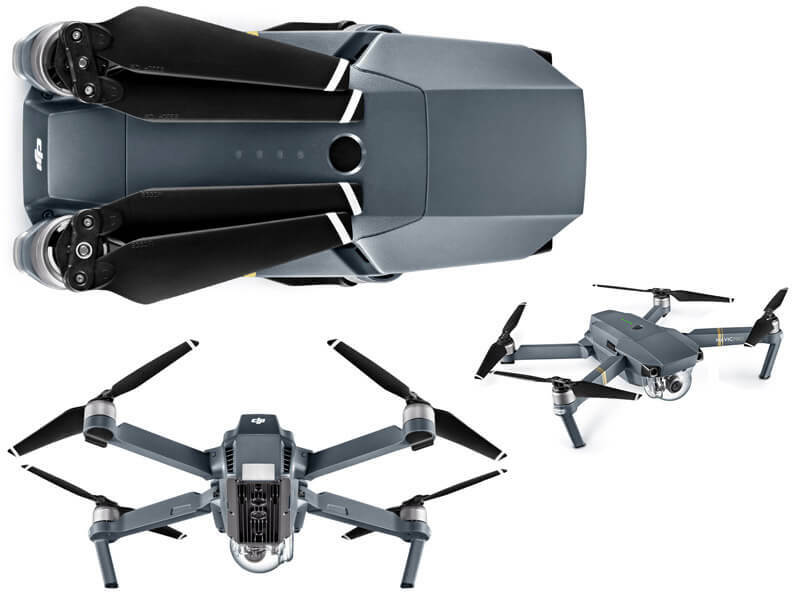 The DJI Mavic Pro stands out for its ability to fold its legs and propellers underneath. When folded, this quadcopter will become really small (83mm x 83mm x 198mm). Mavic Pro has the same camera as Phantom 4, a 12MP camera that can record 4k movies at 24 frames per second. The speed is about 65 km/h and thanks to FlightAutonomy technology it can sense an obstacle from 15 meters away, so you’ll not have to worry about smashing the drone into a wall. In other words, DJI Mavic Pro deserves a place in the Top drone deals of February 2018. Here we have a classic quadcopter that appeared in 2016. Phantom 4 is one of the most popular quadcopters that still has the power to be in a Top drone deals of February 2018. The DJI Phantom legacy started in January 2013 with Phantom 1 and since then, every DJI Phantom was a success. Even though DJI Phantom 4 is an expensive drone, it can do pretty much everything. From being able to fly in bad weather conditions to a battery that gives almost 30 minutes of flying, this quad has it all. The only negative aspect can be its large size, having a length and width of 290mm. 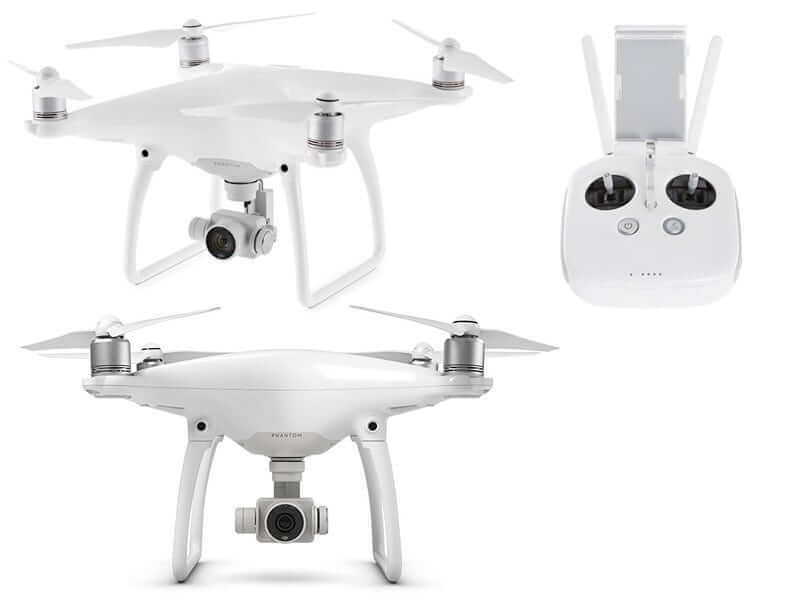 DJI Phantom 4 is most common among those who need a good quality filming drone. This is the most expensive and the most sophisticated drone from our Top drone deals of February 2018. It can be best described as a combination between DJI Spark and DJI Mavic Pro. 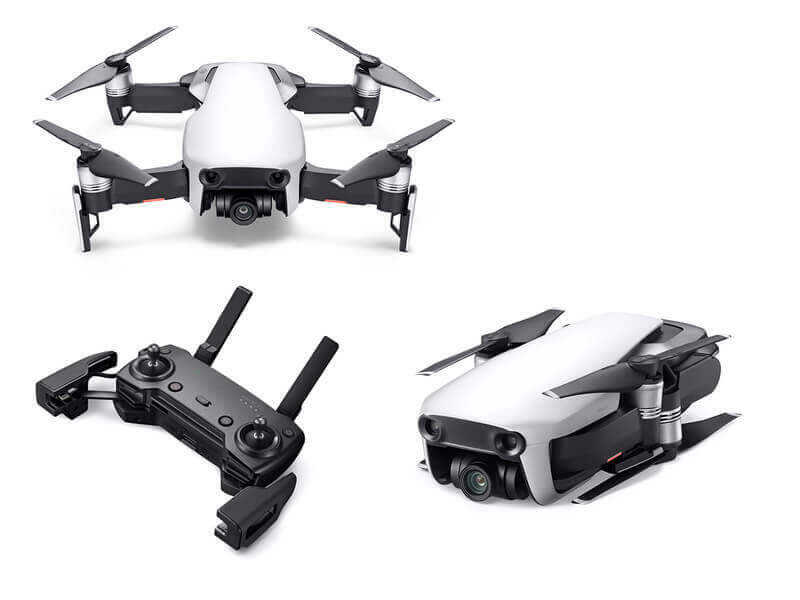 It has the ability to fold like Mavic Pro and is almost as small as a DJI Spark. To sum up, DJI company proudly uses Mavic Air to show how good their drones are.